this is the hubs i have. i lock them in and put it in gear and in 4x4 and the front axles do not move...they are locked in. but the front tires do not spin. do ya'll think my hubs could be bad? Last edited by 4x4troy; 06/06/12 08:17 PM. There may be a vacuum leak on the side not working. I'd put on the Warn hubs first and go from there. Of course once you put on the Warm hubs the vacuum issue goes away. Just want to thank all responsible for this thread! I bought an '02 last summer. When I "tested" the 4WD on the dry pavement (I have other 4WD vehicles, so I did slow, sharp turns in both 4WD modes) it seemed to work. Of course, the first time I needed it this winter, no go. My research led me here. I ordered the WARN manual hubs via Amazon, they arrived in 3 days, and, once I realized I didn't need to do anything other than remove the 6 bolts and swap parts (my originals hubs are the vacuum-assist automatics), the procedure took less than 15 mins! I spent more time trying to find my snap-out pliers (that weren't even needed because the snap ring stays put) than swapping the hubs! So, both front wheels should spin with it lifted? It's not some sort of limited slip thing? Still planning on installing locking hubs, it's just that "life happened" as it sometimes will and I haven't gotten around to it. I did a search for locking hubs for my 2001 sportage and some non-Warn stuff came up along with the Warn stuff. Has anybody tried any brands other than Warn and does the 4wd on the kia really make any difference when it is working properly? I'm moving to a snowy climate and even though the snow season is coming to a close I'm curious if the warn locking hubs will make enough difference to warrant installing them? 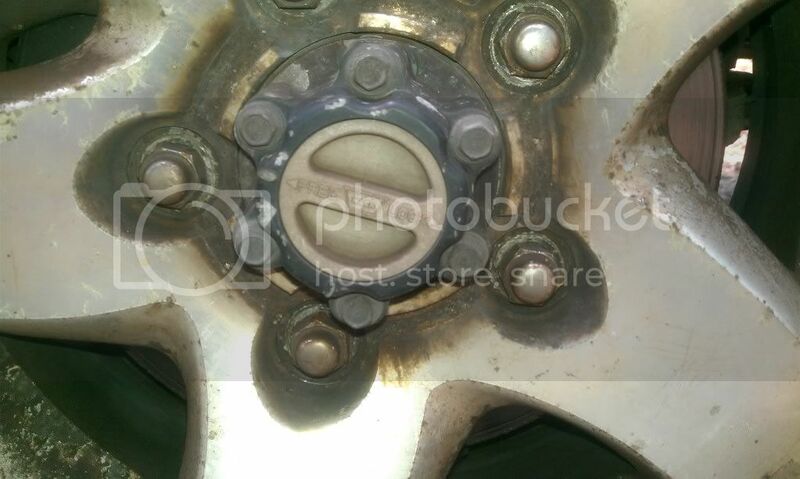 Basically, is the 4wd in the kia worth a damn when it's working or if I install the locking hubs am I just going to get one more wheel spinning in the front in addition to the back that already spins every time it snows. Last edited by axl498; 03/06/14 08:26 PM.